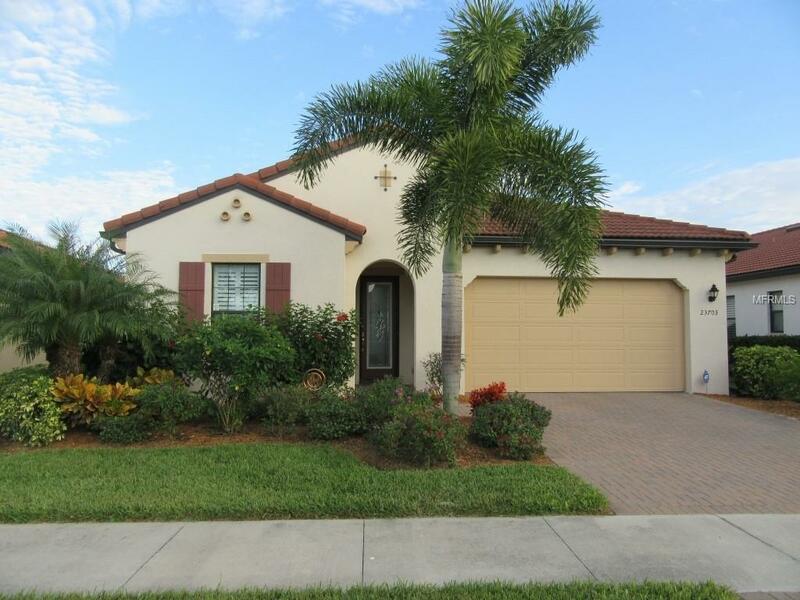 Beautiful 2015 WCI home in Sarasota National, a gated, maint free comm. One of the BEST lots in golf section ! Great panoramic view of lake and 11th fairway of this championship course from kitchen, great room and master bedroom. The highly desirable east facing lanai guarantees salt water pool/spa full sun all day, while covered patio and outdoor kitchen are shaded. Solar shades allow you comfort in early am. 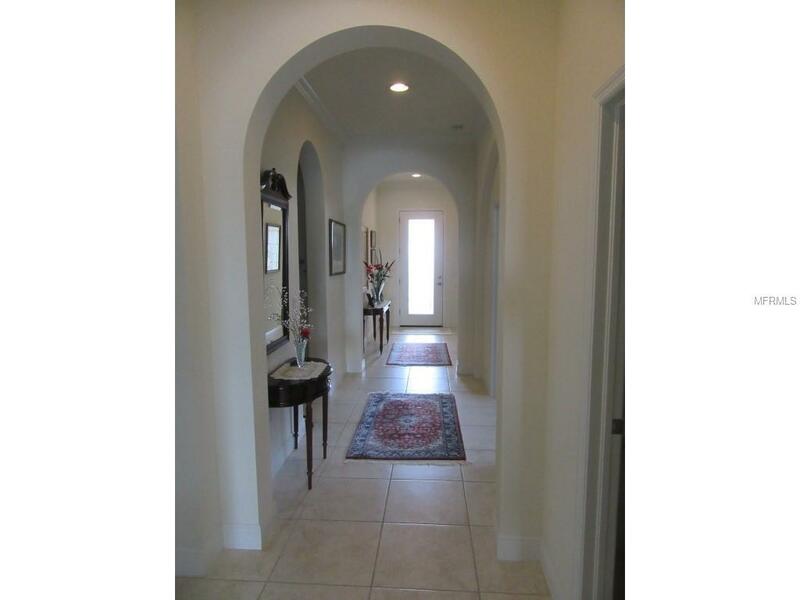 This popular Key Largo model offers an open floor plan, 10' ceilings, crown molding, plantation shutters, ceiling fans in all rooms, whole house water treatment system with RO in kitchen and whole house electrical surge protector. Large, bright kitchen has an island with breakfast bar, granite counters, Whirlpool appliances and many upgraded cabinets with under-cabinet lighting. There is also a walk-in pantry. 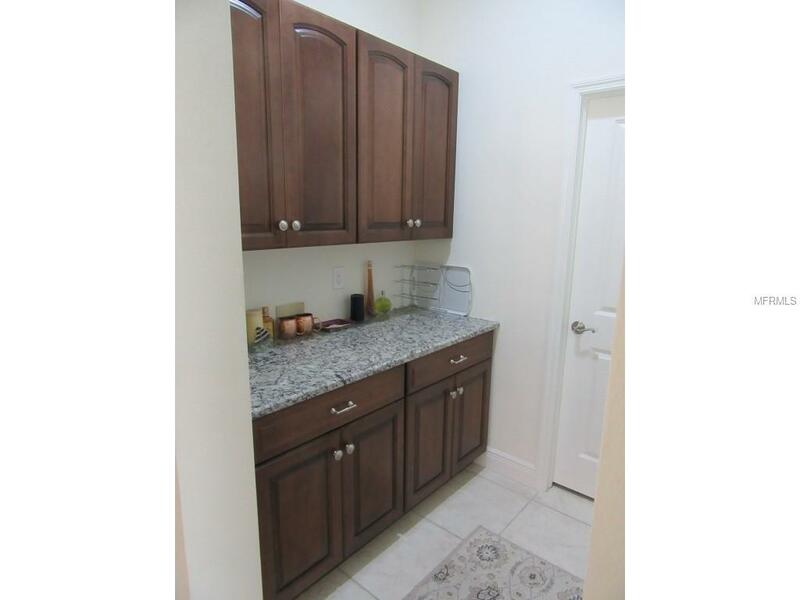 Additional cabinets with granite countertop off hallway are great for liquor cabinet / entertaining. The 3 bedrooms all have private bathrooms. There is also a half-bath off the entrance hallway. Master bath has double vanity and walk-in shower with HUGE walk-in closet. Flex room can be used for a den, dining or bedroom. 2 car garage has double overhead storage racks and a workbench. Amenities include great clubhouse, fitness ctr, coffee shop, resort style pool w/ lap pool/spa and pool bar. 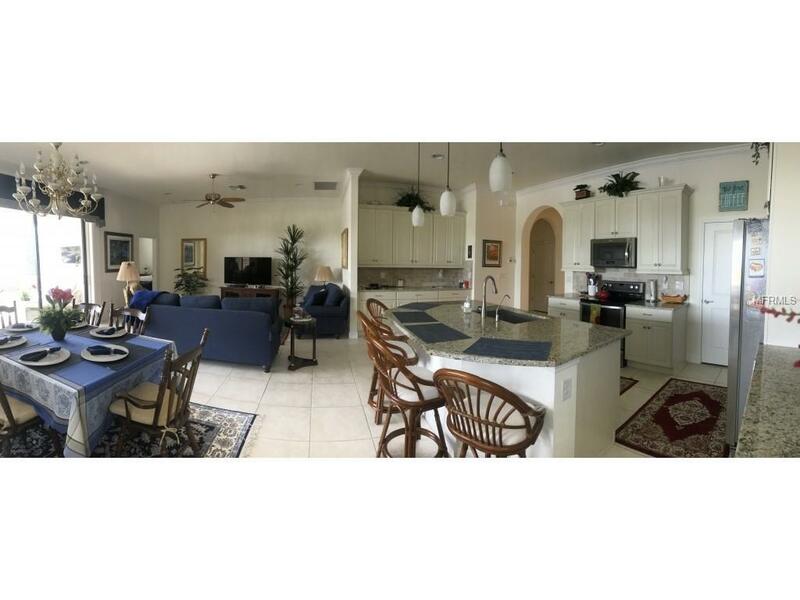 Tennis, pickleball, bocci, casual/fine dining, 19th Hole rest/bar and dog park avail. Many social/dining events. Happy hours by pool and in lounge. Great nearby beaches, shopping and cultural activities.